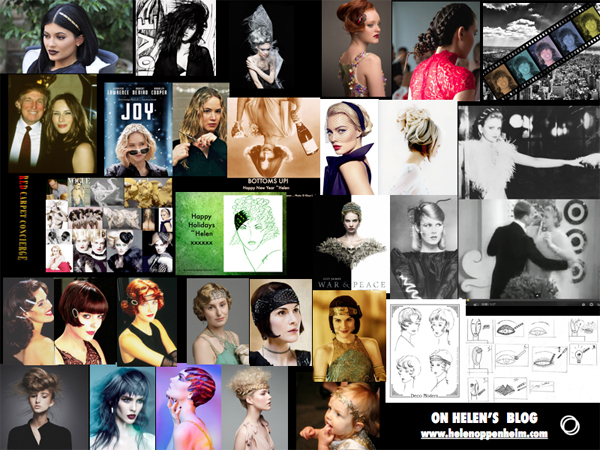 Home » Posts Tagged "Downtown Abbey"
As Downton Abbey, the PBS-TV series starts, it is good to remember the hair and fashions in the series, now taking place in 1925, the era of Deco, Flappers and Bobs, will have influence. 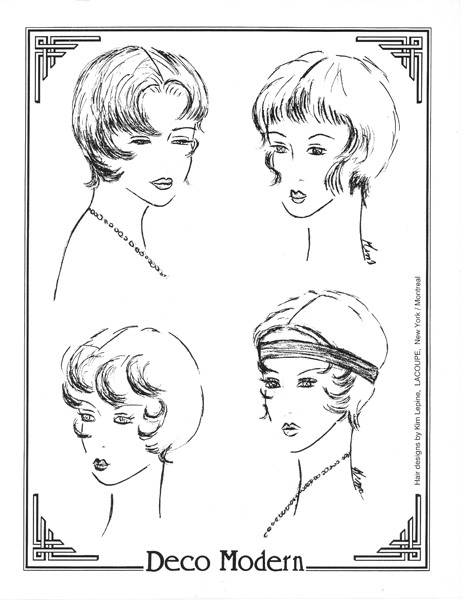 In 1992, Kim Lepine of La Coupe was inspired by the spirit of the Roaring Twenties, by Flappers and Modern Art Deco. Her four charming sketches show soft, pretty, flattering short shapes with style, and how a short blunt bob or gamine could morph into a modern short look in 1992, still fashion today, in 2016. The hair was flicky, flirty, close-to-the-head with romantic kiss curls on foreheads, cheeks, necks, one worn with a bandeau of black velvet, or the bandeau could be in silver lamé, or an Art Deco Egyptian-influenced design, soon to make an appearance on Downton.